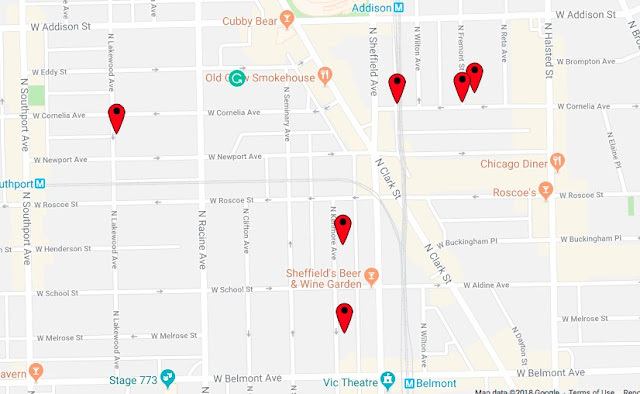 Chicago police are warning about a spike of burglaries the Wrigleyville and Boystown neighborhood. The surge appears to be part of an overall increase in robberies across the east end of Lakeview since mid-October. In a community alert issued Monday, police said they have identified a burglary pattern in which one or more intruders enter victims’ residences through unlocked doors or by forcing doors or windows open. Once inside, valuables are taken from the home. Detectives typically issue a community alert when they believe a series of crimes are the work of a single person or group. No description of the burglar was offered in the police alert. Anyone with information about the burglaries may contact Area North detectives at 312-744-8263 regarding pattern P18-N-323.